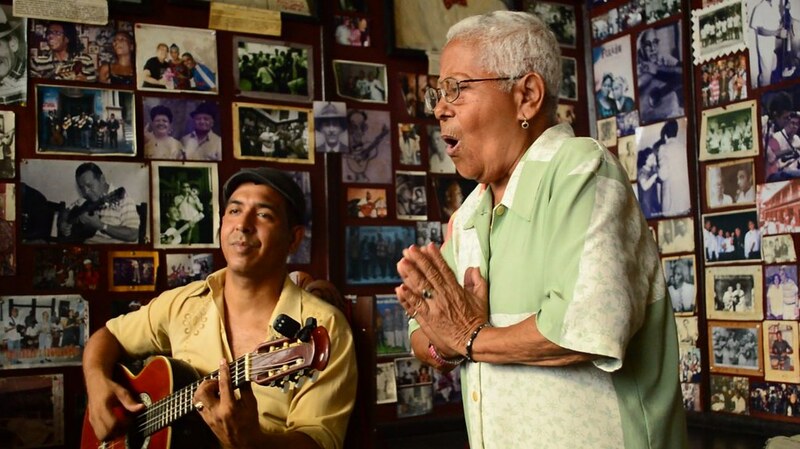 Every major city in Cuba has a Casa de La Trova…an old house or building dedicated to trovadores and their music (bolero, son). 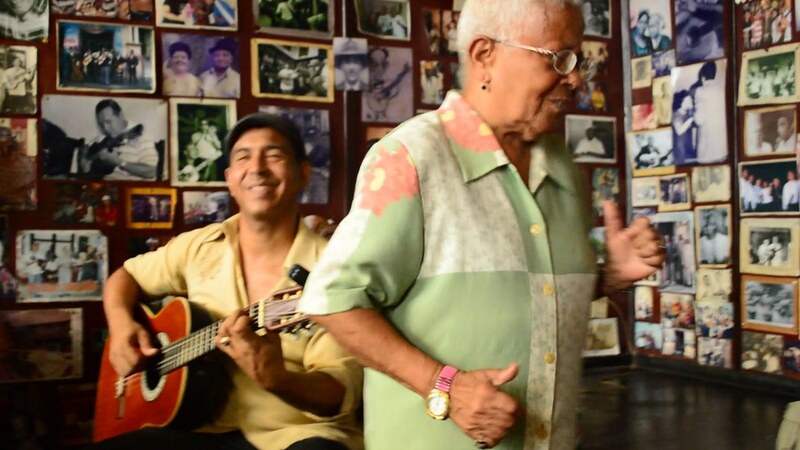 In Santiago de Cuba, on 208 Calle Heredia, the former home of the composer Salcedo was used, and it is called the Casa de La Trova “Pepe Sanchez”. Its founder was Virgilio Palais. 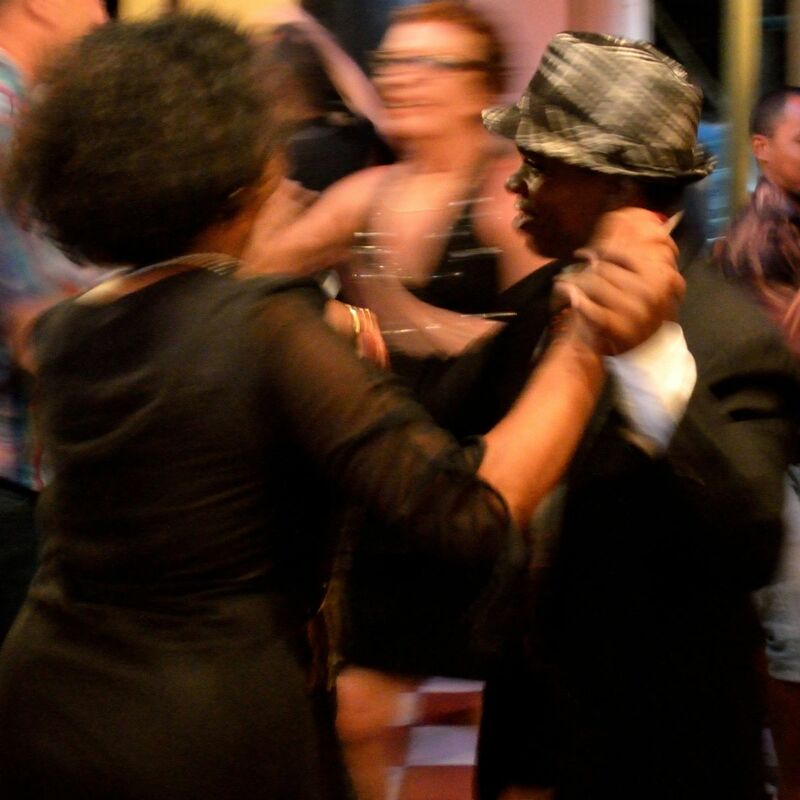 In the 1950s, hard times had hit Cuba as the Batista regime bathed the country in his own people’s blood…and it was much worse in Santiago de Cuba, which actively resisted Batista, than elsewhere. To augment his income, Palais set a table up in the small room at the front of his house, selling snuff, tobacco, biscuits, and whatever he could. He sat there all day, and was known to sing when he was bored, to pass the time (a terrible thing, it is said, he didn’t have much of a voice.) Friends of his, trovadores (troubadours) and cantantes (singers), started to hang around, bringing their instruments, and accompanying him; they passed the day sharing music. 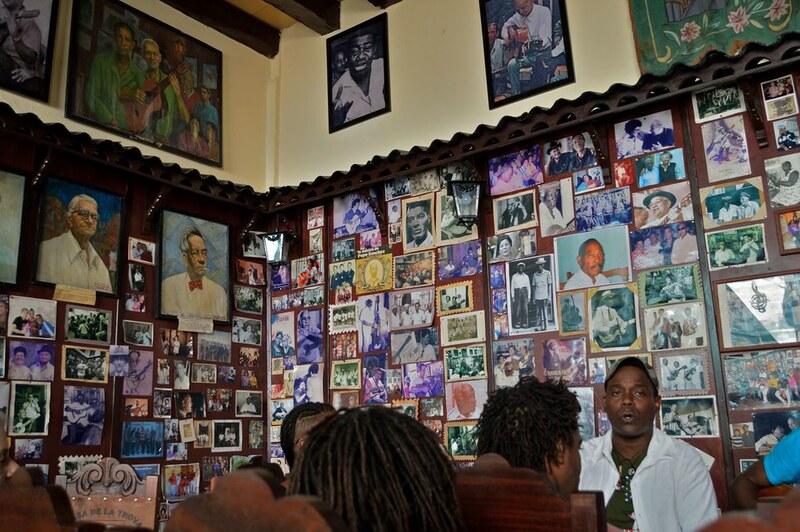 The place was “discovered” by the taxi drivers hanging around Casa Granda Hotel, and the daily crowd grew with time. 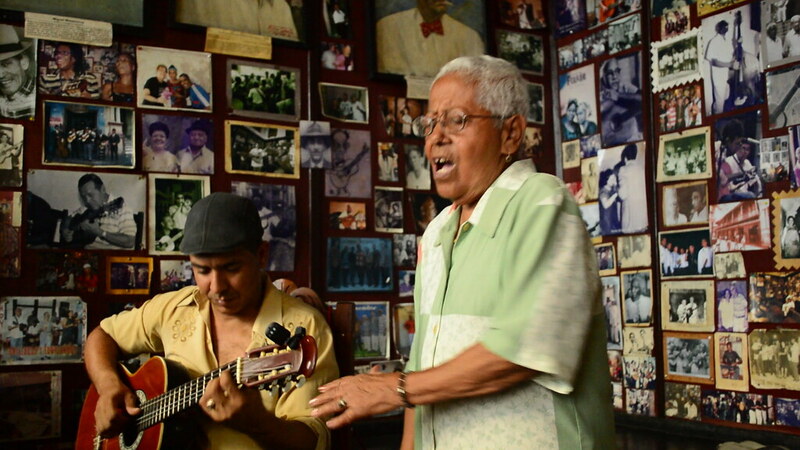 Eventually, it became a well-known, well-loved place for Santiagueros to hang out and hear good trova. For a while, the Casa moved next door, to a bigger building with a second floor, but locals lamented that it was not the same. “Casa de la Trova Santiago Cuba” by JialiangGao www.peace-on-earth.org – Self-photographed. Licensed under GFDL via Commons. Eventually the original little front-room auditorium was fully restored—all the old paintings and photos moved back onto its walls, the old chairs with leather seats and the legend “Casa de La Trova Pepe Sanchez” printed on each one—and now the Casa de La Trova occupies both buildings: intimate acoustic gatherings, free to attend, take place in the old Trova in the afternoons, and then a bigger, showier band performs at around 9 in the evening in the bigger La Trovita—with a dance floor, a bar, waiters—in the building just next door, upstairs, for an entrance fee of about $5. The atmosphere is much the same as always…rows of creaky wooden chairs covered in bald cowskin are arranged around a low wooden “stage”. There’s a shop in a back room that sells drinks and cigarettes. You buy a beer, light up a cigar, and sit down to hear whoever is playing that day. The front row is so close that you touch knees with any musician who’s sitting on the stage. 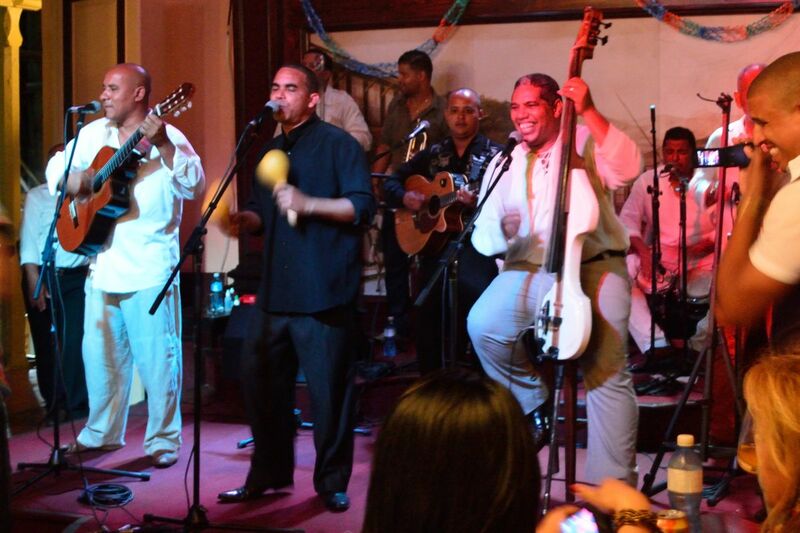 Often, fellow musicians are in the audience, their instruments standing quietly beside them, and they will join in. People in the audience who know the second and third voices to a bolero, or the coro (refrain) of a son, will accompany the trovador. It’s very intimate, very welcoming, very special. I went every day for a week, after Jorge took me the first time. I made friends with some trovadoras. It’s easy: you listen, you don’t call someone on your phone, or have a loud conversation with your friend, while someone is singing their heart out in front of you. When you go to buy a beer for yourself, ask the barmaid what the musicians drink, and pick up a few cans for them, too. Try to appreciate the music—I know it’s hard when you don’t understand the language—and maybe buy the artist’s CD if you like their music, or leave a little money in their hat or bowl. 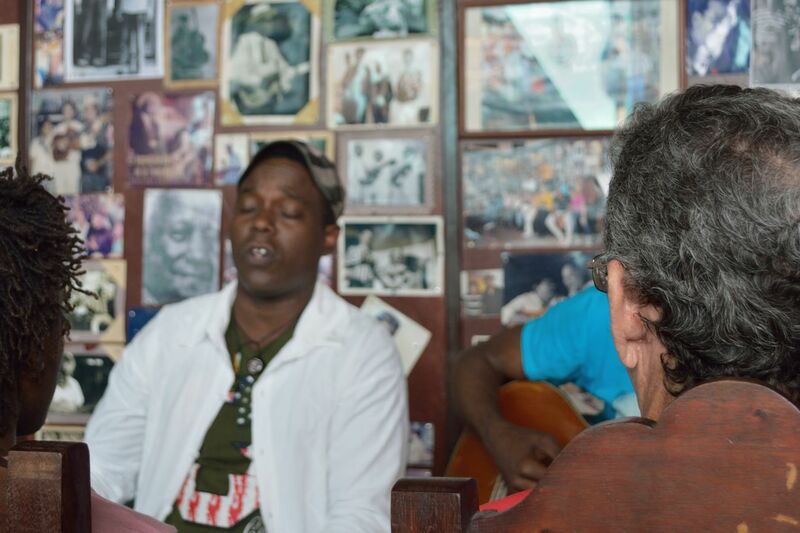 The daytime trovadores don’t get paid for gigs or anything like that…basically, the Casa is just a place where they are welcome to busk, and its history attracts an audience they’d not find on a street corner. One afternoon I arrived to meet the veteran cantante (singer) Aracelis “Chely” Romero, and her (gorgeous…sigh) accompanying guitarist. 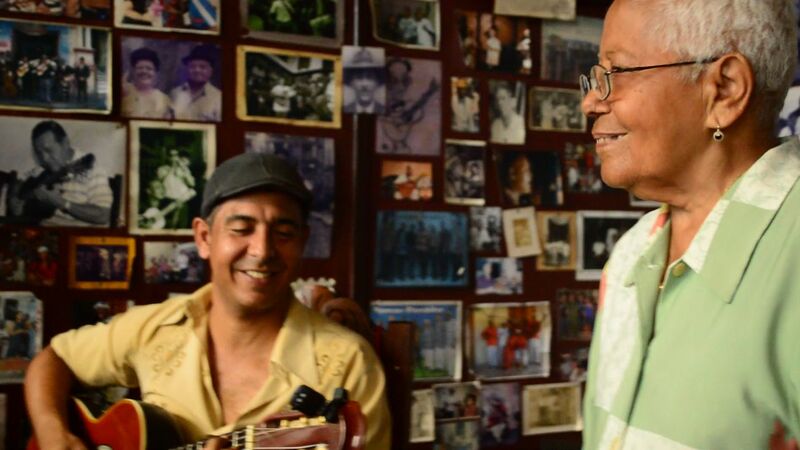 It was a bittersweet session…in between songs, they were having a heartbreaking argument: Francisco was sick of playing at the Trova…the horns and shouts and hubbub from the street, the insult these musicians suffered as busloads of tourists clomped in, twice a day, snapped their photos and selfies and GoPro videos—never stopping to listen—and then rushed off again in 15 minutes; the fact that Chely’s little basket was so often empty…he didn’t want to do it, anymore. It wasn’t worth the trouble. Chely fretted, because she has been playing at the Trova for 40 years, and even though it’s hard for her, and doesn’t pay, she is loyal to the house and what it stands for. But no other guitarist was willing to accompany her, Francisco knew her entire repertoire, and she was torn between tradition, and understanding that a young man, like a son to her, needs more, wants more out of life. They weren’t including me in this conversation, but I was waiting for the music, sitting just to one side, and managed to pick up enough to understand what was going on. It made me so sad. So I spent the whole afternoon there, listening to them as intently as I could, chatting with them. I bought them beers…which made the little bird-like Chely so happy that she sang a traditional drinking song, walking around the room (and even into the back room), touching cans with every single person that was there. Finally, all three of us were laughing again, and Fernando hugged me, told me “You saved us…by being here, by listening, by giving us your time and your good heart…” I wanted to sob. I went to the bathroom to clean my face up…slipping two five dollar bills into Chely’s basket while they were packing their instruments and things. When I came back from the bathroom they’d found the money, and each one just came up to me, “Ay, mi amor…gracias.” and hugged me a long time. I waved it away, and went in the opposite direction from them as we left the place because I didn’t want to cry anymore. Que la trova es inmortal. Hey, Nat. Catching up with a few blog posts that I missed reading via email. I’d been sick a lot lately — nothing serious, don’t worry — and a few posts floated by and got away from me. Thanks for sharing this amazing moment with us, Nat. How I wish I’d been right there with you, drinking and listening to the music. Chely and the handsome Francisco sound like kindred souls. I’m going to reiterate my request for you to compile the best of your blog posts into a book, Nat. This is really good stuff. Top of the line, spare no expense stuff. Hugs, my friend! Nina, stop you’re making me squirm! LOL Thank you, mi amor, I promise that I won’t leave the writing at just this blog, though I think 99% of my blog writing is in need of a really brutal editing, I find it sloppy, vague, imprecise. But I am learning how to write otherwise…I’ll get there eventually. Believe me, I know how much work I put into some posts (and it actually involved cutting a third, to half, the words OUT) and how many posts I just breezily wrote of the top of my head, using five million adjectives and abusing the adverbs, and not editing the piece afterwards at all! 😉 And the difference is striking…the first kind gets lots of comments, specifically about the quality writing, the rest get likes and maybe comments about the photos. So people sense it, even when they aren’t really looking for it. …. awwwww i cried reading the post Nat.. I don’t remember seeing very many tourists at all at santiago!!! it was so quiet and unassuming! Loved it… had the best mojito there by Joe!!! My daughter has a tender and huge heart! And they’re the experiences – the people and the places – that make travel real. Wonderful… you have a gift for storytelling. I used to think that wisdom meant having wise words and wise comments. More than that, wisdom is wise listening. You allowed the music. It was, Laura, I was so lucky and grateful to have it, just before leaving. Great, but emotional story. I place with huge heart. you know, sometimes an artist just needs one person to say, you are worth the effort.